The Milwaukee Region closes out another year of fun and anticipates a great year ahead. Check out upcoming events and more news about Porsche in this Steinlifters Online. Jan. 2 - Board meeting. The board meets at Milwaukee Yacht Club, N. Lincoln Memorial Drive along Milwaukee's lakefront. Members and guests are always welcome. 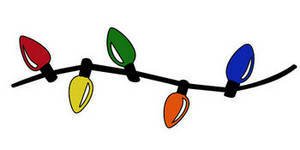 The action starts at 6:30 p.m.
Jan. 11 -- Holiday party. Join other members and guests as we ring in a new year, after the madness of the holidays is behind us. Details here. You must RSVP by Dec. 20. Jan. 18- Coffee Travelers. Location to be announced. Jan. 25 - Watch the start of 24 Hours of Daytona. Location to be determined. We will send an email out shortly with information on the location. Gather from 2 p.m. to 5 p.m. The green flag drops at 2:29 p.m. Grab a beverage and cheer for your favorite Porsche team. Feb. 22 - Turbo spaghetti. Enjoy a casual evening sampling a variety of pasta sauces created by fellow members. Vote for your favorite. The region provides the pasta, salad, beverages and dessert. Bring a guest. Bring a pasta to enter the competition or just come to enjoy the food and company. Details are coming soon. In the meantime, start to perfect that secret recipe for an outstanding sauce. May 16 - 18 -- New! Join us for a driving tour of western Wisconsin along the Great River Road. Al and Ellyn Wagner will be your tour guides. Details here. May 16 - 18 -- Alternatively, if you prefer to drive in the beauty of northern Wisconsin, you can join the Fox Valley Region members for their spring tour. Details here. Aug. 15 -- Our region will take over Road America for a day of unparalleled track time. More details coming soon. Save the day. This is one day worth burning a day of vacation and some petrol. Aug. 23 -- Club Day At The M We'll be putting together a plan to invite region members to display their Porsche(s) at this event. The more the merrier. Club Day chair Mike O'Krongly says there is room for hundreds of cars. Let's make Porsche stand out! Aug. 24 -- Milwaukee Masterpiece concours d'elegance. This is a must see for car people. With Lake Michigan as the backdrop in Veterans Park on Milwaukee's lakefront, the Masterpiece invites outstanding vehicles from across North America to compete in a variety of classes. As a result of the recent election of board members, the board members serving for 2014-2015 are George Kowalski, Donna Daufenbach, Rick Zinda and Patrick Fowler. Those members who are serving the second year of their two-year terms are Greg Kovacs, Gregg Eisenhardt, Al Wagner and John McGarry. Congratulations to these leaders. retired sales engineer for Durable Controls in Hartland, but continues to work there on a part time basis. Ron Pirrello is also a former Corvette owner. "I am a recently retired circuit judge and recently traded my c6 Corvette in for a 2013 Boxster. This my first Porsche, but I have owned sports cars for many years. I have owned two Alfas, a Ferrari, and a 1965 Austin Healey which I restored myself and which was my daily driver for 16 summers. That was probably my favorite and took me to several national club meetings around the country." Jerry Green drives a 2008 Boxster X RS 60 Spyder, one of only 1960 made with 900 sold in the USA. He found the Boxser on Cars.com and bought it at Napleton Porsche in Illinois. "This is my 2nd Porshe. A few years ago I had a 944S. This car is a major upgrade but the 944S was also a ton of fun!" Jerry is "a happily retired man." Elliott Papermaster 1968 -- celebrating 45 years! Check out the latest classifieds. These are updated regularly. Ads are posted when received by the newsletter editor. 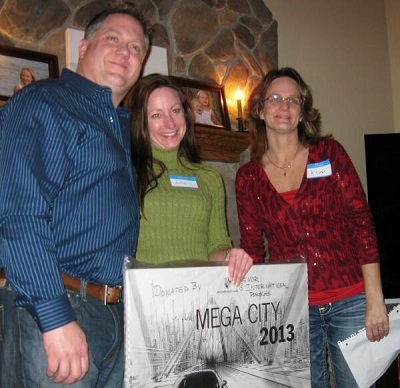 In February, we gathered at Geoff and Stacey Wilde's home to crown a new Carrera Chili Champ, Todd Flemming, left. Kim Zinda, right, chair of the social committee, presented the trophy to Todd. 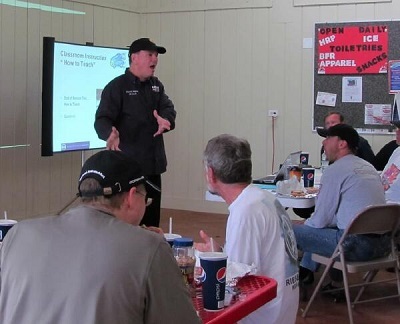 A one-day course was conducted at Blackhawk to certify instructors by PCA for the region's Driver Education (DE) program. Thanks to the DE committee for arranging this event. Historic Galena, Ill., was the destination for a weekend driving tour in May led by tourmeisters Michael and Lynn Elliott. Here's a group photo of the road warriors. 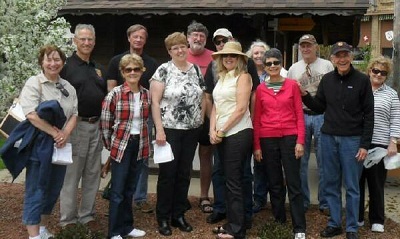 In June, the annual Spring Tour was led by brothers Lee and Jay Heppe. 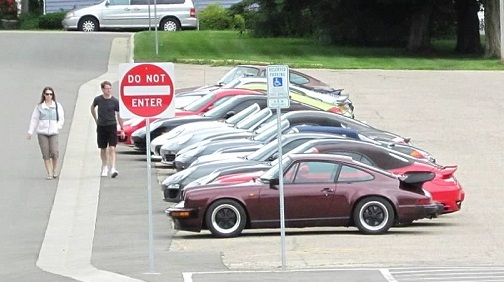 Porsches fill the parking lot at the lunch stop. 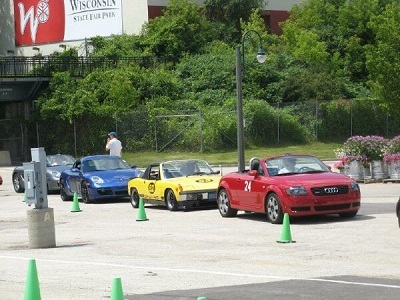 It was autocross time in July on the parking lot at Wisconsin State Fair Park. Autocross co-chairs George Kowalski and Jerry David were assisted by a number of region members to set up the course and execute this fun event. 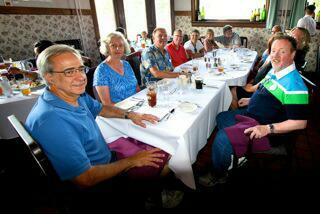 Later in July, members drove as a group to Elkhart Lake to view the Nationwide Insurance concours d'elegance on the streets and enjoy dinner at the Lake Street Cafe. Al and Ellyn Wagner were the tour leaders. Octoberfest in Cedarburg was a perfect venue for Porsches which were featured in a special display thanks to arrangements made by John Orth. Chris Martin and Scott Koser took home the People's Choice award for their stunning 356. The Macan made its worldwide debut in November. While it won't be in dealers' showrooms until spring, Motortrend's First Look lets you read about it here. Michael Jurkowski provided the link. The intermediate shaft bearing (IMS) lawsuit continues to garner attention. Read more here in Autoweek. Thanks to Arthur Cunningham for the tip. Want to drive the Nurburging, the famous track in Germany? Check out this video. Thanks to Ron Pace for the link. Porsche by Design: Seducing Speed marks the North Carolina Museum of Art's first design exhibition, exploring the history and development of the Porsche lineage from the 1930s to the present day. The exhibit runs through Jan. 14. If you can't visit in person, the website is worth a look. Tip from Donna Daufenbach. In November 2013, Porsche AG has handed over the keys of more than 14,000 vehicles to customers -- an increase of 9.5 percent on the same month last year. Between January and November 2013, the sports car manufacturer delivered 147,290 new cars to customers, a figure up 14.2 percent on the same period in 2012. Porsche showed clear growth in Germany during November 2013: Totaling 1,465, the number of vehicle deliveries was up by more than a fifth on the same month last year. In China, the sports car manufacturer delivered 3,707 vehicles to customers, a significant increase of 27 percent on last year's figure. In the USA, 3,966 new cars were handed over to customers, an increase of 2.6 percent on the same month last year and the highest figure for November that Porsche has ever recorded for the American market. Demand remains high in the anniversary year of the Porsche 911: Almost 3,000 rear-engine sports cars were delivered to customers in November 2013, an increase of 47.6 percent on the same month last year. Porsche also delivered a total of 1,933 Boxster roadsters and mid-engine Cayman Coupe -- an increase of 55 percent on November 2012. 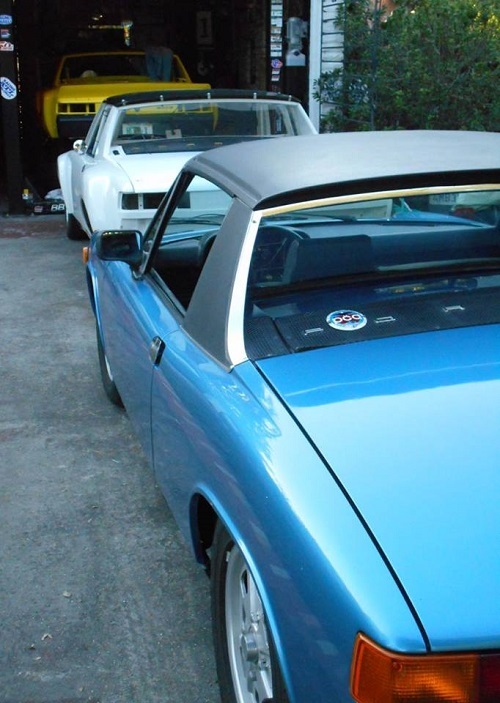 Can you ever have enough 914s?